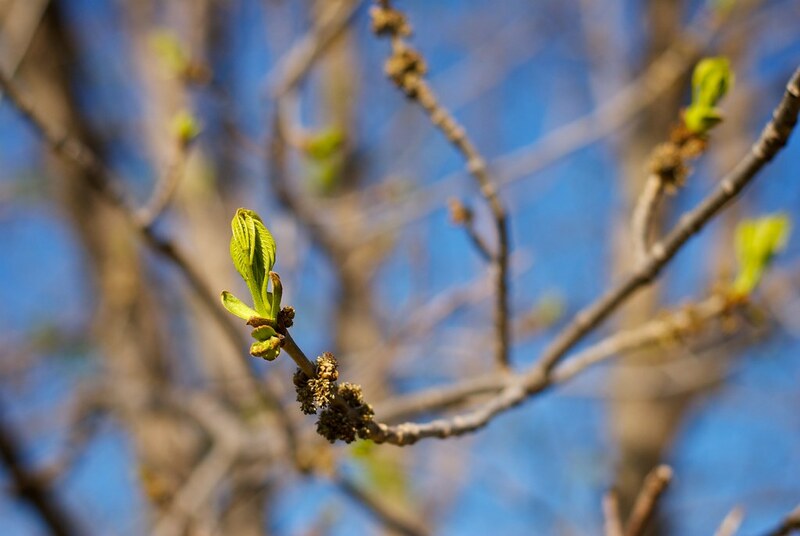 Even though I have seen this tree in our front yard go through its annual transformation from a lifeless bunch of sticks to a beautiful green display of nature, I have rarely paused to consider the amazing resurrection-like process each Spring when its leaves spring forth. My wife pointed this out to me the other day when she was playing in the yard with our son, and I thought the emerging leaves were so cool to look at. Several bunches looked like hands held high in prayer, and I hope this photo captures that image as it looked to me. I also like thinking of the yearly rebirth of life around this time of year as a visual metaphor for the resurrection of Christ, which we celebrate in just a few short days. May we always be reminded of the sacrifice Jesus made on the cross for our sinful world, and keep the message of hope and life found in the Gospels close to our hearts. Love your analogy! Spring is really a miracle – every year! Thanks, Anita. I think it’s easy to overlook the wonders of the Lord’s creation so often because we are so busy filling our lives with other things. But if we stop and take a closer look, we can see evidence of a creator all around us!